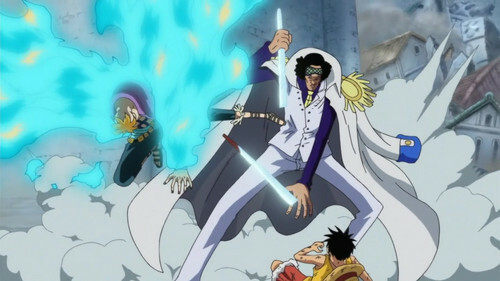 Marco saves Ruffy before Aokji. . HD Wallpaper and background images in the Edward Whitebeard Newgate club tagged: one piece whitebeard pirates whitebeards crew marco aokji. This Edward Whitebeard Newgate photo contains anime, grappig boek, manga, cartoon, and stripboek.